Jacques Maritain (November 18, 1882 – April 28, 1973) was a French Catholic philosopher. He was a convert to Catholicism and the author of more than 60 books. He is responsible for reviving St. Thomas Aquinas for modern times and is a prominent drafter of the Universal Declaration of Human Rights. Pope Paul VI, a long-time friend and mentor of Maritain, presented his "Message to Men of Thought and of Science" at the close of Vatican II to Maritain. Maritain was born in Paris, the son of Paul Maritain, who was a lawyer, and his wife Geneviève Favre, the daughter of Jules Favre, and was reared in a liberal Protestant milieu. He was sent to the Lycée Henri IV. Later, he attended the Sorbonne, studying the natural sciences; chemistry, biology and physics. At the Sorbonne, he met Raïssa Oumancoff, a Russian Jewish émigré. They married in 1904. Furthermore, she, a noted poet and mystic, was his intellectual partner who participated with his search for truth. Raissa's sister, Vera Oumancoff, lived with Jacques and Raissa for almost all their married life. Soon, he became disenchanted with scientism at the Sorbonne, for it could not, for him, address the larger existential issues of life. In light of this disillusionment Jacques and Raïssa made a pact to commit suicide together if they could not discover some deeper meaning to life within a year. Happily they were spared from following through on this because, at the urging of Charles Péguy, they attended the lectures of Henri Bergson at the Collège de France. Along with his deconstructionism of scientism, Bergson instilled in them "the sense of the absolute." Then, through the influence of Léon Bloy, they converted to the Roman Catholic faith in 1906. "Thenceforth, in affirming to myself, without chicanery or dimunition, the authentic value of the reality of our human instruments of knowledge, I was already a Thomist without knowing it…When several months later I came to the Summa Theologiae, I would construct no impediment to its luminous flood." From the Angelic Doctor (the honorary title of St. Aquinas), he was led to "The Philosopher" as St. Thomas christened him, Aristotle. Still later to further his intellectual development, he read the neo-scholastics. 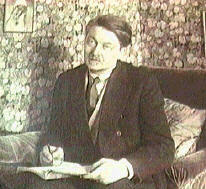 Beginning in 1912, Maritain taught at the Collège Stanislas and later moved to the Institut Catholique de Paris. For the 1916–1917 academic year, he taught at the Petit Séminaire de Versailles. In 1933, he gave his first lectures in North America in Toronto at the Pontifical Institute of Mediaeval Studies. He also taught at Columbia University; at the Committee on Social Thought, University of Chicago; at the University of Notre Dame, and at Princeton University. From 1945 to 1948, he was the French ambassador to the Vatican. Afterwards, he returned to Princeton University where he achieved the "Elysian status" (as he puts it) as a professor emeritus in 1956. Raissa Maritain died in 1960. After her death, Jacques published her journal under the title "Raissa's Journal." From 1961, Maritain lived with the Little Brothers of Jesus in Toulouse, France. He had had an influence in the order since its foundation in 1933. He became a Little Brother in 1970. Learning the death of his friend Maritain, Pope Paul VI cried. Jacques and Raïssa Maritain are buried in the cemetery of Kolbsheim, a little French village where he had spent many summers (at the estate of his friends, Antoinette and Alexander Grunelius. The foundation of Maritain’s thought is Aristotle, St. Thomas and the Thomistic commentators, especially John of St. Thomas. He is eclectic in his use of these sources. Maritain’s philosophy is one based, like his champions, on evidence of being first by the senses and second that which is acquired by an understanding of first principles (metaphysics). Fundamentally, Maritain is a metaphysician who defended philosophy as a science against those who would degrade it. He promoted philosophy as the Queen of sciences. In 1910, Jacques Maritain’s completed his first contribution to modern philosophy, a 28 page article titled, "Reason and Modern Science" published in Revue de Philosophie, (June issue). In it, he warned that science was becoming a divinity, its methodology usurping the role of reason and philosophy. Science was supplanting the humanities in importance. Up to and during WWII, Jacques Maritain protested the policies of the Vichy government while teaching at the Pontifical Institute for Medieval Studies in Canada. "Moving to New York, Maritain became deeply involved in rescue activities, seeking to bring persecuted and threatened academics, many of them Jews, to America. He was instrumental in founding the École Libre des Hautes Études, a kind of university in exile that was, at the same time, the center of Gaullist resistance in the United States". (1) After the war, he tried unsuccessfully to have the Pope speak on the issue of anti-semitism and the evils of the Holocaust. In view of this priority given to metaphysics, Maritain advocates an epistemology he calls "Critical Realism". Maritain's epistemology is not "critical" in Kant's sense, which held that one could only know anything after undertaking a thorough critique of one's cognitive abilities. Rather, it is critical in the sense that it is not a naive or non-philosophical realism, but one that is defended by way of reason. Against Kant's critical project Maritain argues that epistemology is reflexive, you can only defend a theory of knowledge in light of knowledge you have already attained. Consequently, the critical question is not the question of modern philosophy — how do we pass from what is perceived to what is. Rather, "Since the mind, from the very start, reveals itself as warranted in its certitude by things and measured by an esse independent of itself, how are we to judge if, how, on what conditions, and to what extent it is so both in principle and in the various moments of knowledge?" Maritain advocated what he called "Integral Humanism". He argued that secular forms of humanism were inevitably anti-human in that they refused to recognize the whole person. Once the spiritual dimension of human nature is rejected, we no longer have an integral, but merely partial, humanism, one which rejects a fundamental aspect of the human person. Accordingly in Integral Humanism he explores the prospects for a new Christendom, rooted in his philosophical pluralism, in order to find ways Christianity could inform political discourse and policy in a pluralistic age. In this account he develops a theory of cooperation, to show how people of different intellectual positions can nevertheless cooperate to achieve common practical aims. Maritain's political theory was extremely influential, and was a primary source behind the Christian Democratic movement. "Vae mihi si non Thomistizavero" [Woe to me if I do not Thomistize]. "Forward" in Introduction to Philosophy, by Stephen J. Vicchio. Jacques Maritain: The Man and His Achievement, J. W. Evans, ed., NY, 1963. The Philosophy of Jacques Maritain, C. A. Fecher, Westminister, MD, 1963. The Achievement of Jacques and Raïssa Maritain: A Bibliography, 1906–1961, D. and I. Gallagher, NY, 1962. Jacques Maritain, G. B. Phelan, NY, 1937.